The director of Quotidiano Sportivo, Enzo Bucchioni, shared new Juventus rumors on the market in his editorial today for Tuttomercatoweb.com: Today in Italy there will be a summit between Agnelli and his operating board regarding the market and the foundations for the future of Juventus. The elimination from the Champions League has confirmed everything we already knew, this is a team that has no rival in Italy, but in Europe it is still far from the top 5-6 teams. How to bridge this gap? This is the big question and is not JUST about money. Juventus need quality players, but also ones who reserve elements of great character and personality. Charisma that in difficult situations can give something more. In this regard, there are many regrets for not having spent seven million needed to take Drogba in January instead of the useless Anelka. Conte does not even use him in training. With this consideration in mind, Juventus will tighten operation costs and pool the sums together that are standing for months. 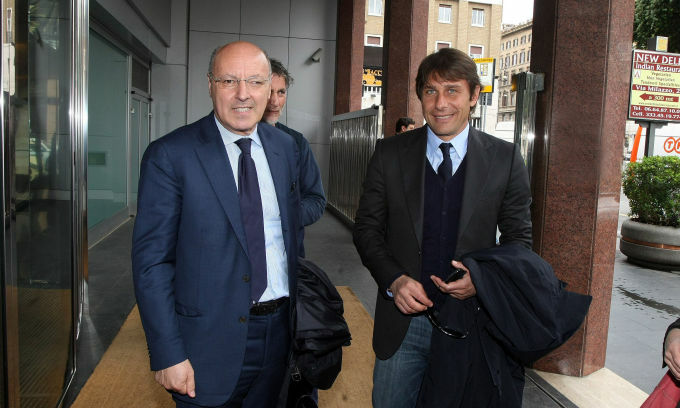 Meanwhile, they have decided to expand the pot making fifty million available to Marotta and company. To this an additional 30 million will be added that will come from the sale of Vidal now decided a long time despite the negative signals in recent weeks and the statements of the players. With eighty million a very different Juventus can emerge if Marotta buys intelligently. There are three main objectives: an attacker of international stature, an external attack or a midfielder and a right-sided defense of character.Then, of course, other acquisitions through loans in the Italian market. Summer sees Llorente officially become black and white. One possible avenue for the attacker is through Real Madrid. Madrid will take Cavani and either Iguain or Benzema will end up on the market. Needless to say that Conte really likes Benzema, a player who participates in the operation, has power and sense for goal. Iguain also adapts very well to the ideas of Conte. Aside from the despondent comments made by Ibrahimovic about PSG over the last two months and the fact Raiola has been working on a move out of PSG for some time now, it takes patience and above all, additional ideas from the economic point of view since the signing fees of the Sweed are huge. Working with the sponsors (additional funds for commercial rights) would lend to the striker more favorably in Italy instead of France. A third option came to light only recently. Why not try Robben? The Dutchman, has played two great matches against Juventus, but hasn't had an extraordinary season and Guardiola hasn't included him among the non-transferables. He renewed his contract last May but Robben may want a change of scenery (his role at Bayern is sure to change under Guardiola) and his fees are not astronomical. He can be used for an outside attack, but also as a midfielder. I also like Diamanti. He's a versatile player who could fulfill a number of roles, as well as facilitate a return to 4-3-3. Bologna and Juventus are in discussions about a potential deal but the player fears less play time, not to be a starter at Juventus as he is in Bologna is a sticking point because most of all he fears losing his blue shirt on the national team. For the midfield instead of Vidal play Pogba, but we need alternatives because Andrea Poli coming from Sampdoria is not enough. Asamoha and Isla should be signed, Conte believes he can recover Isla and get him back to form as when he played in Udine. All the current attackers should be on the market, if you get the right offer even Vucinic should be considered. Zorro is talking to Jovetic, but prying him from Fiorentina is difficult for many reasons and in the end he may eventually go to Ljui even if we do make the right offer. Finally for the defense it's reported that Marotta is trying to convince Cagliari to give up Astori, a valid alternative to the current backline. Today, one thing is for sure, Agnelli must lead the way to build a Juve able to really compete and win in Europe.